Luke Skywalker has finally spoken but raises many questions. The life event we’d been waiting for a really long time (two whole years to be precise) has finally arrived. Star Wars Celebration Orlando 2017 is underway and in today’s Last Jedi discussion panel, the movie poster and first trailer of the upcoming movie Star Wars: The Last Jedi were revealed. The trailer continues the story of Rey as she discovers the Jedi in herself while undergoing Jedi training under Luke Skywalker. While we are super hyped to discuss the things we noticed in the trailer and the panel discussion, it’s better that you watch the trailer first. Before the trailer was revealed, the Last Jedi panel hosted by Josh Gad invited Kathleen Kennedy (President, Lucasfilm) and Rian Johnson (Director, The Last Jedi) to kick off the discussion. They were later joined by members of the cast Daisy Ridley, John Boyega, Kelly Marie Tran and a special appearance by BB-8. You will recognise everyone from the panel other than Kelly Marie Tran who’s new to the franchise. Kelly’s character was revealed for the first, playing as Rose, who is a part of the Resistance and works in maintenance. If a scrapyard junkie like Rey can evolve into one of the principal characters in the series then we can’t wait to see what Kelly Marie Tran is going to turn into. Another Jedi, perhaps? Rian went on to talk about how vital her role is going to be in the movie while comparing it to the legacy of Luke and the newly developed character of Rey. Rose is a new character played by Kelly Marie Tran. While making the movie, Rian said he used to roam around the sets with his camera and he shared few shots that put some light into the movie’s characters. Captain Phasma didn’t have much of a role in Force Awakens and this time, it looks like she’ll play a bigger part. We also get to see the late Carrie Fisher in the command centre of the flight deck. The difference is this time she isn’t wearing the Resistance uniform but dons Princess robes (or probably Queen). Poe Dameron is back as an X-wing pilot and Rey is doing her thing with a lightsaber. Leia Organa Solo in her Princess (or Queen?) robes. Rian stated that the movie is currently in post-production stage which meant that we were indeed going to get a trailer today. 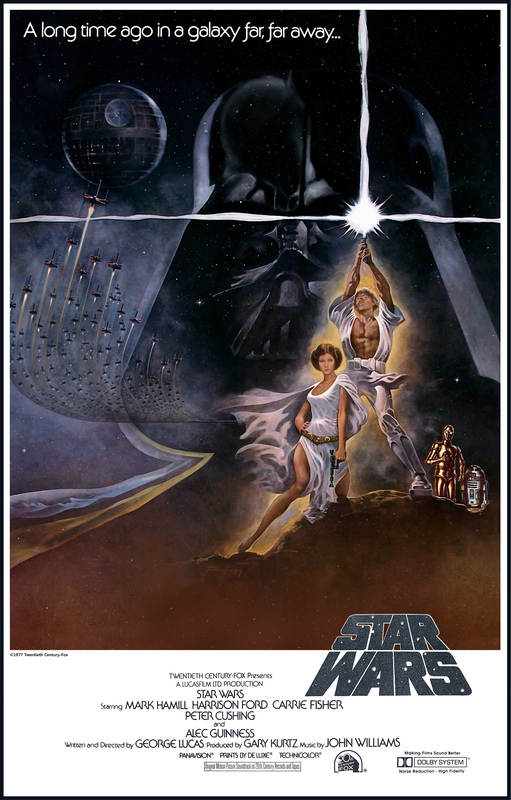 Instead, a brilliant movie poster was revealed (which is a straight homage to the original New Hope poster). Fans appeared to have been taken aback by the lack of a trailer but that soon changed as the lights dimmed and the trailer started playing. The Last Jedi strikes back? Let’s talk about some of the interesting things we observed in the trailer. The following will have some spoilers from the Force Awakens. In case you’re among those hermits who haven’t watched Episode VII then this would be the best time to stop reading. We’d advise you to steer away from whatever you have planned, drop everything you’re doing and watch the frigging movie already. The previous movie was left in a cliffhanger where Rey finds Luke Skywalker and gives him back his lightsaber. Death Star 3.0 or Starkiller is destroyed by the Resistance. Has that weakened the First Order? We have no clue. Prior to that, Starkiller managed to decimate the Hosnian System, home to the New Republic. This raises the question of whether there will be a body similar to the Republic in the upcoming movie. The trailer begins with clips from Rey’s training with Luke. Leia is seen taking charge of the command centre, followed by the mangled remains of Kylo Ren’s face mask. We are predicting Kylo will completely drop his mask in the next movie. Briefly, we get to have a look at a Jedi Order logo being inspected by Rey (or someone else), probably during her time at Luke’s secret island. It moves on to Rey training with a lightsaber while being supervised by Luke, and then a nostalgic scene takes over. Newly designed Resistance fighter ships are seen flying across a barren terrain with what looks like red soil, towards an army of AT-AT walkers approaching them. This instantly reminded us of the iconic Battle of Hoth where the Rebels go head on with the Empire in Episode V: The Empire Strikes Back. A dozen AT-ATs can be seen marching towards Resistance fighter ships, reminding us of Empire Strikes Back. Finn and Poe are also seen, and Boyega confirmed in the panel that their relationship is going to get stronger and interesting. Kylo and Rey make an appearance, both with their lightsabers, followed by Luke devastated alongside R2-D2, looking over his Jedi Temple burning down. This scene is straight from Rey’s vision in Force Awakens. We get to see more space dogfights between Resistance X-wings and TIE fighters. “It’s time for the Jedi… to end” – Luke Skywalker. The biggest takeaway is at the end of the trailer by the man himself. “It’s time for the Jedi… to end”, says Luke, clearly justifying Rian mentioning how “significantly important” Luke’s role is in the movie and maybe even for the future of the Star Wars saga. There have been hundreds of questions swamping around on the Internet, the most critical being Rey’s identity. Whether she turns out to be the daughter of an iconic Jedi or not, we’ll know soon. Regarding Luke, does he finally give in to the dark side? Why train Rey if he wants the Jedi to end? We’ll find out the answers to all these questions in the movie. Although, the entire trailer (or teaser) seems to be vague for now, we hope it stays the same through the next trailers until the movie comes out.